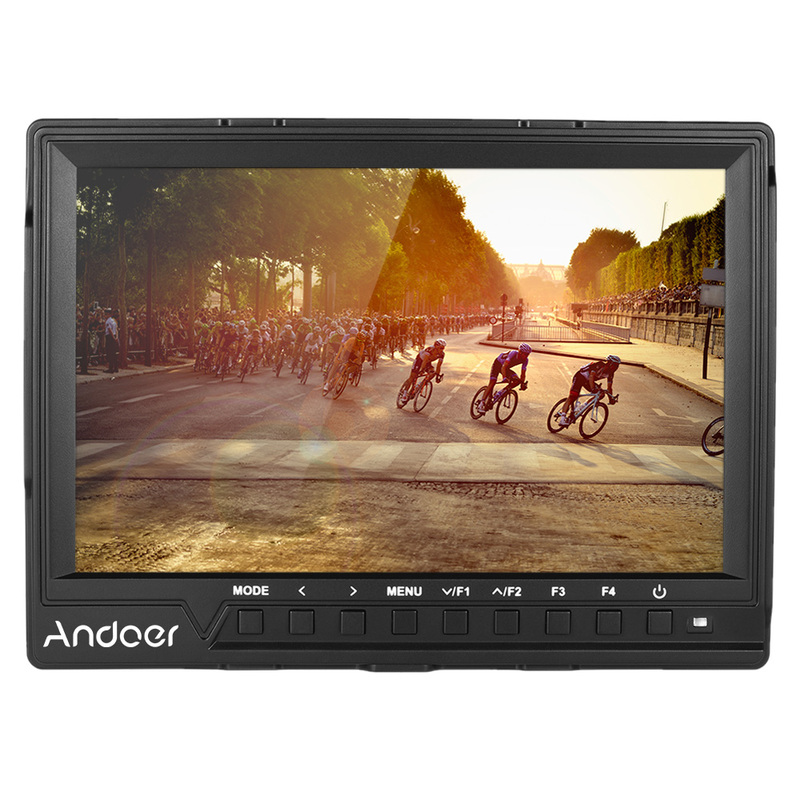 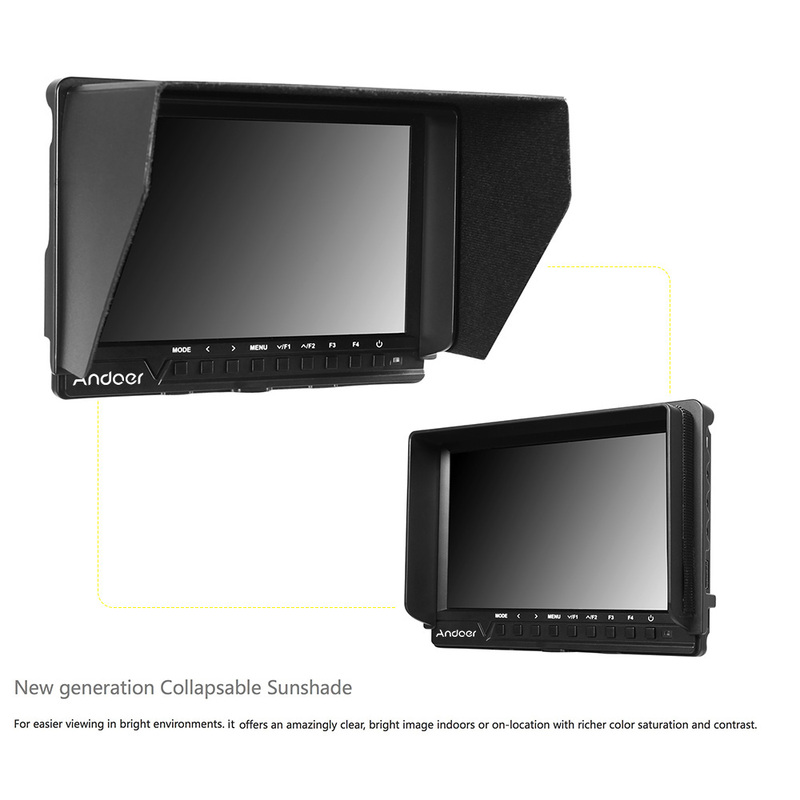 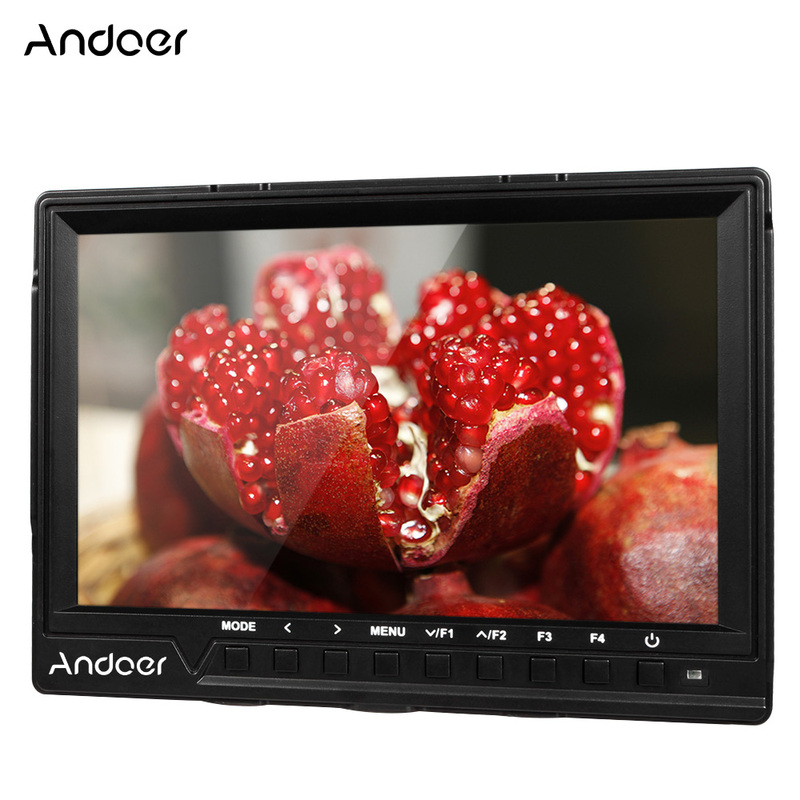 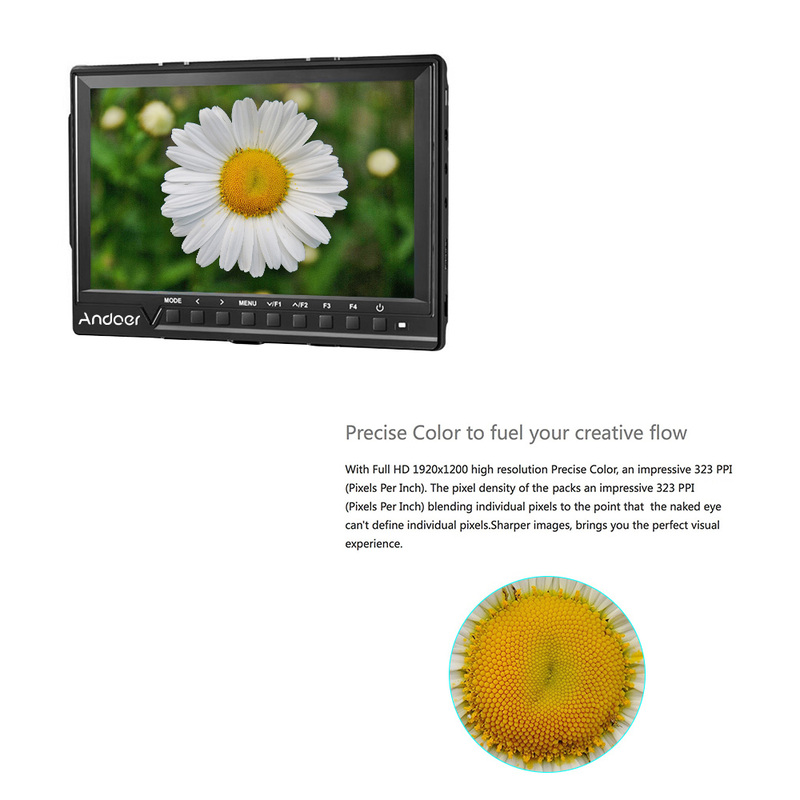 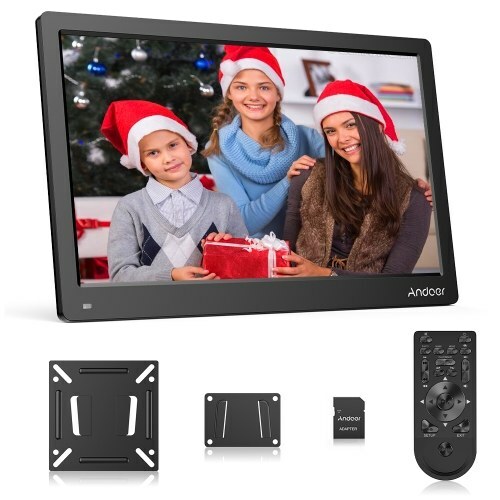 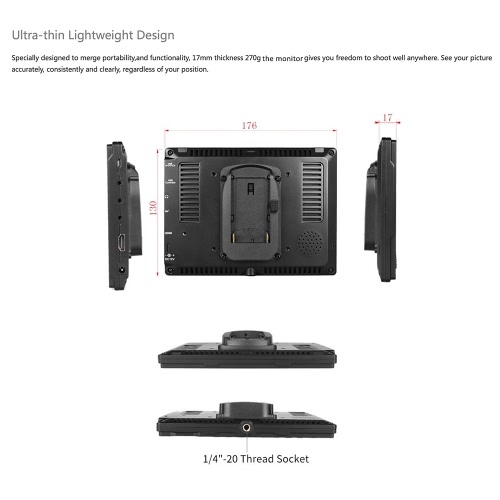 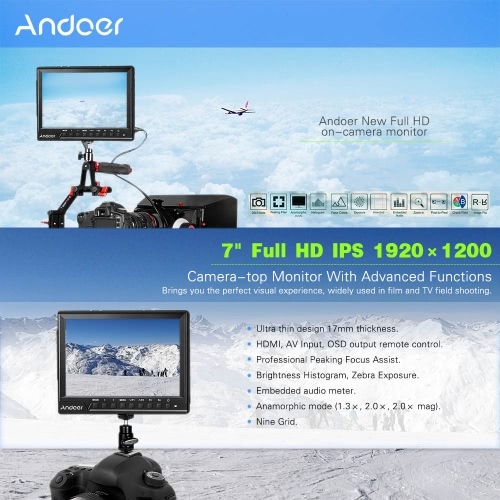 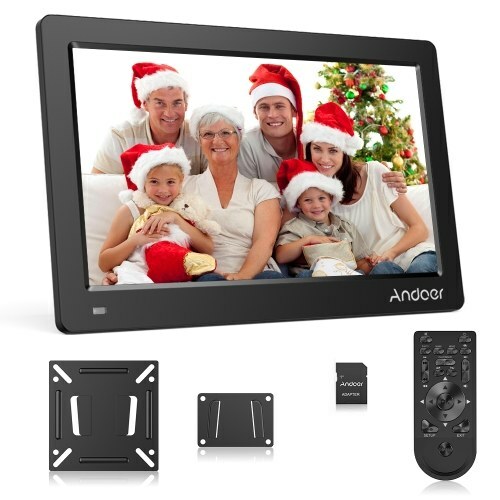 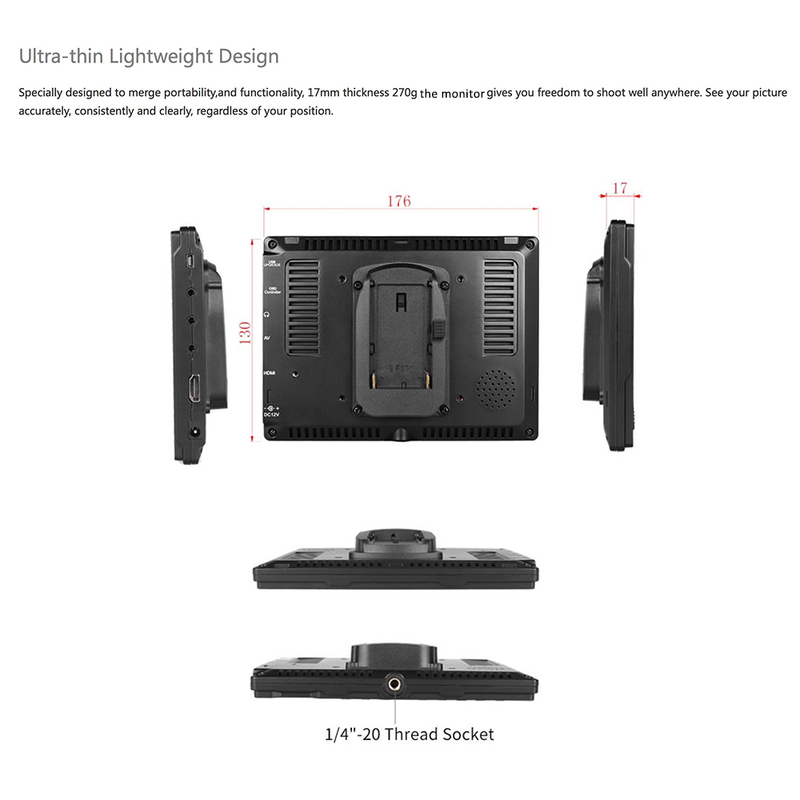 Andoer 7" Full HD IPS 1920×1200 On-Camera Field Monitor with Advanced Functions. 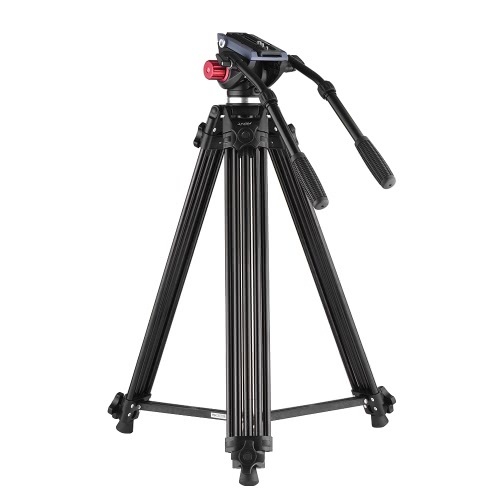 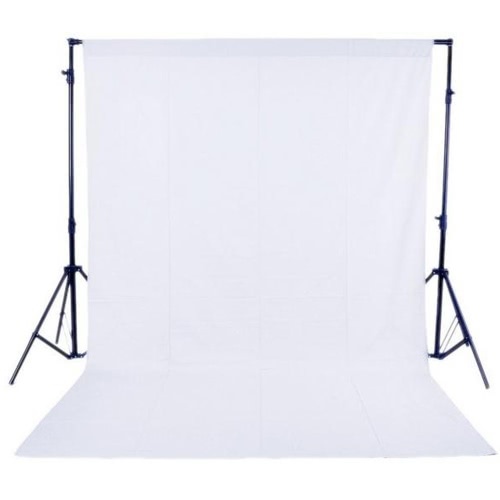 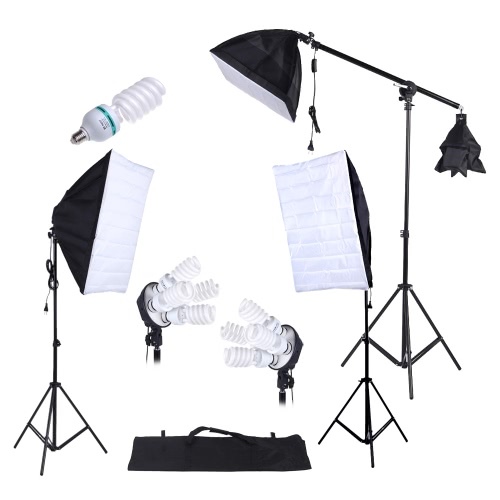 Brings you the perfect visual experience, widely used in film and TV field shooting. High resolution: Full HD 1920*1200; High contrast: 1200:1; High brightness: 450cd/㎡. 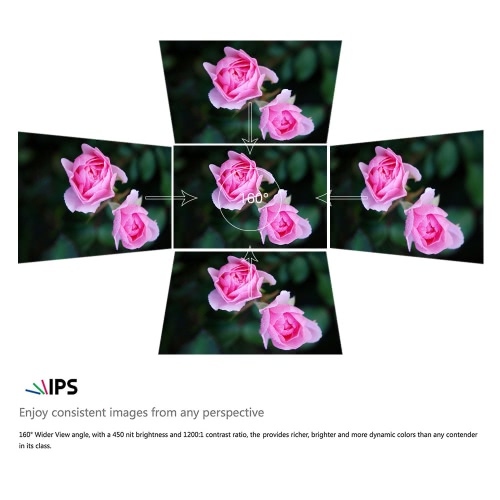 160° wide viewing angles IPS panel; Ultra thin design, only 17mm thickness. 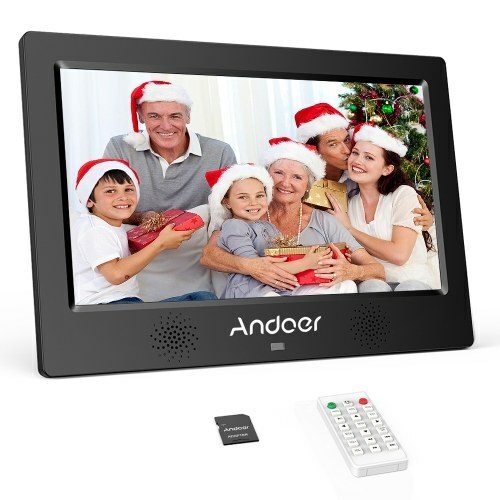 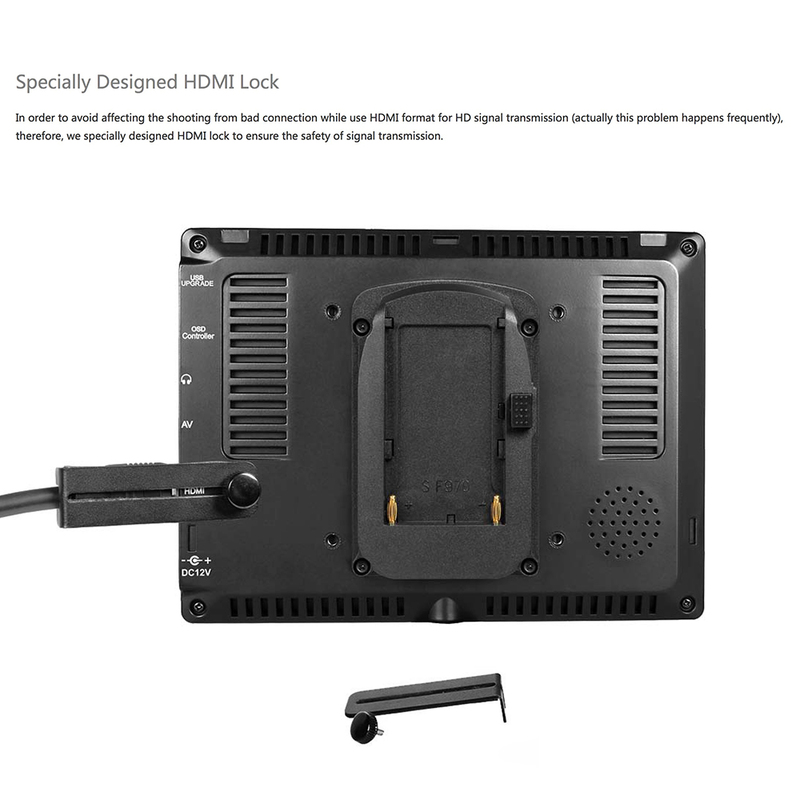 High Definition Multimedia Interface, AV input, OSD output remote control, support 4K signal. 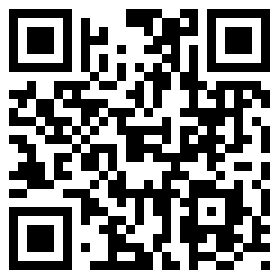 Brightness Histogram; False Color; Zebra Exposure. Professional Peaking Focus Assist(Red,Yellow,Blue,White four color optional highlight over parts of the image in focus). Nine Grid; Embedded audio meter; Camera Mode; Scan Mode(Over, Under); Zoom(Auto,4x,9x,16x). 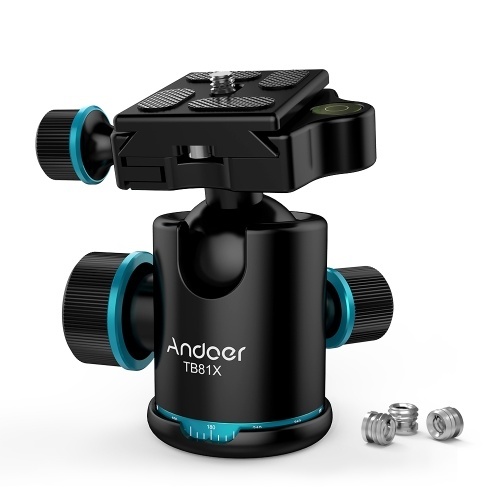 Anamorphic mode(1.3×, 2.0×, 2.0× mag); Pixel to Pixel; Center Marker; Safe Area (70%,80%,90%). Check Field(Gray/Red/Green/Blue); Image Flip(H, V, H/V); Image Freeze; Color Temp. 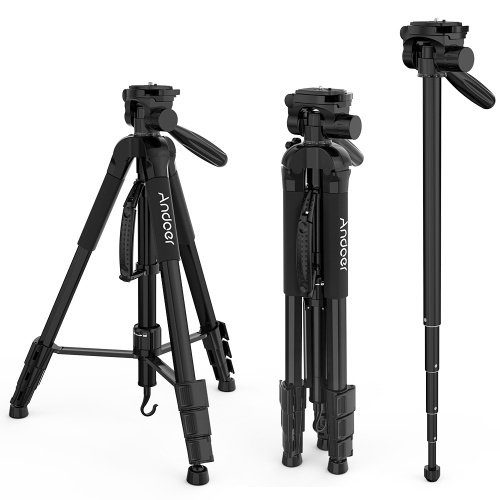 Adjustment.